The limited edition Spalding NBA 30th Anniversary Leather Basketball with genuine leather cover is a commemorative game ball design celebrating three decades of hoops! 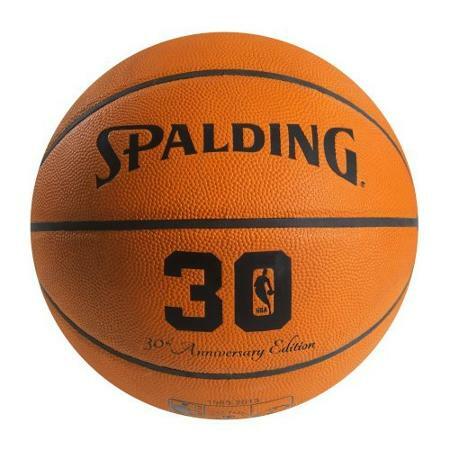 This ball is officially licensed by the NBA so when it says ''official game ball'' it really is the exact size and weight used in the pros. Since this signature series ball pays tribute to such a milestone and features a unique logo, it makes an amazing decorative piece for your bar or den, but don't be fooled, this ball is game-ready for indoor use!